With or without using a computer? From the house, two. If I walk 300m west, about 27 on a clear day. I don’t know! I found a web-site listing 135 peaks that can be seen from Calgary, but I don’t know how many are SOTA summits. I also found a book on the Calgary sky-line, complete with a 1.8m long panorama! 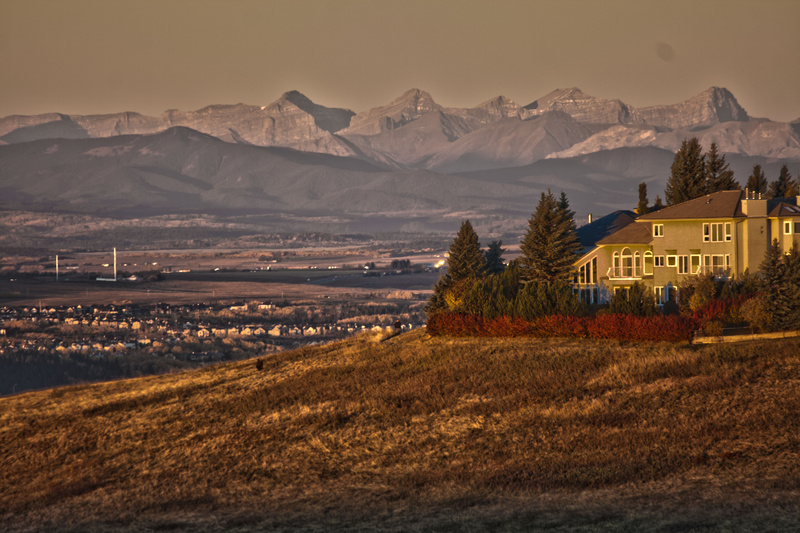 Here are two photos, one wide-angle, one telephoto that I took from Nose Hill, a Calgary park. 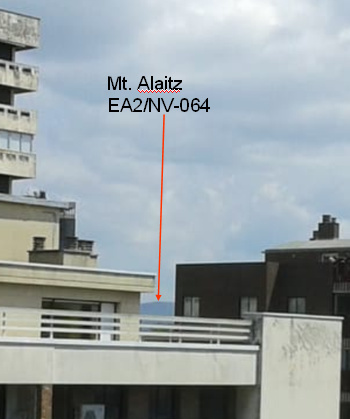 They show part of the western panorama. This is truly a great part of the world for SOTA, and many other aspects of life! 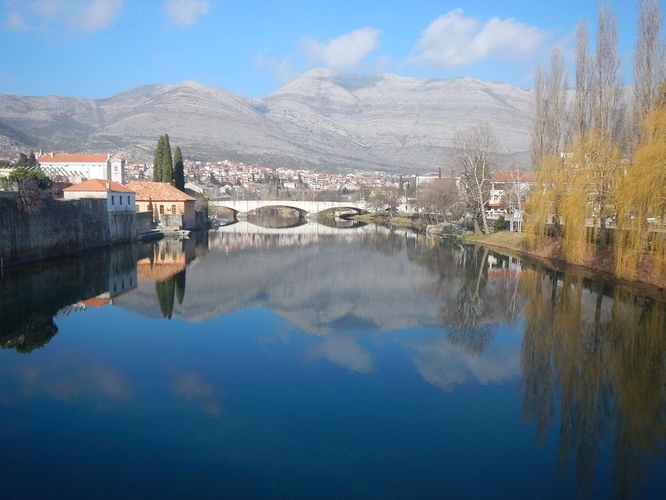 What a nice thread, Zoran! I see many, many, although I’ve never counted them carefully. 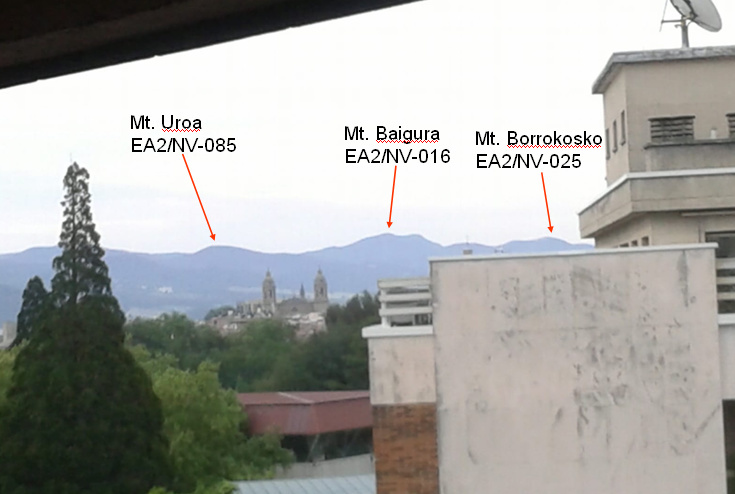 It’s dark now but, asuming a clear air this weekend, I’ll try to take some pics and show you all the SOTA summits I can see from my rental appartment in Pamplona. I look forward to enjoying your photos, Guru. 1 The Bluff vk5/ne-065 100 km north. From up my 50 foot tower New Campbell Hill vk5/se-007 and Brown Hill Range vk5/se-004. Zero. 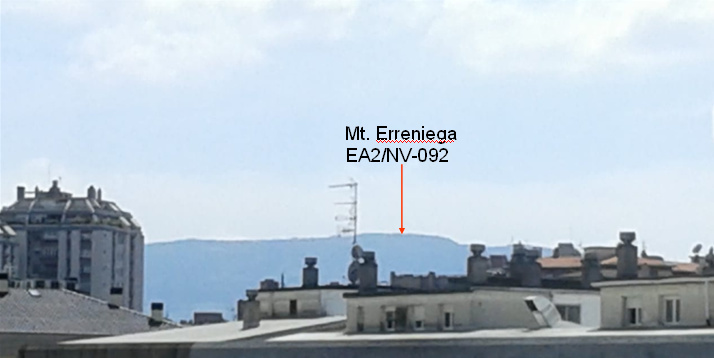 My nearest summit is 80m away and well over the horizon. It is a wonder that I started in SOTA as I certainly had no visual prompt. I have Richard G3CWI to thank for my introduction through him organising what might be described as “a club meet up from a summit day”. I can’t recall how many of us went out to activate a summit, but I was the only one ensnared by the activity and bizarrely I did not work any of the other club members! Zare, I’m sure you could make a nice panoramic picture of your beautiful town and all the mountains around. To encourage you, I’m posting a photo of Leotar mountain taken in February 2017, before my activation of its summit (the 6-pointer on your map). Not too many from Scratby near Gt Yarmouth!! I’d be back up in the hills anyway, as I decided to get / keep fit properly this year, so it would be rude not to take a radio and dish out some chaser points, right? I can see 2 from my home, but from my parent’s home about 3 miles away, you can see about 8. Thank you Zoran for creating this thread. 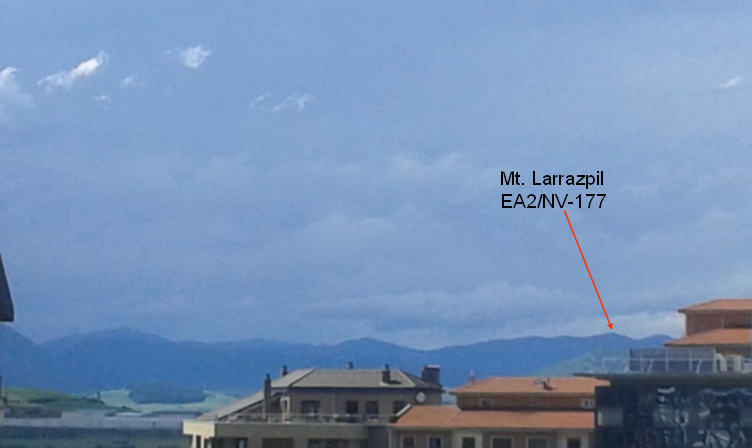 I’ve had a lot of fun working on trying to identify all the summits I can see and I have now a better knowledge about the surrounding mountains of Pamplona. 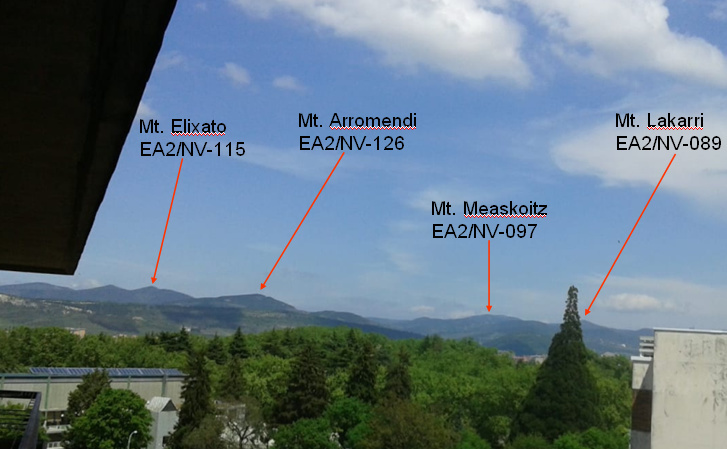 With some new pictures and an even deeper study of them checking them against the SOTA maps, I’ve come out to a total of 16 SOTA summits visible from the different balconies and angles of my rental appartment in Pamplona. You can also see Pamplona’s cathedral here above. Yours is the Kingdom of SOTA peaks. Good luck with activating them all, Guru. …doesn’t matter how many are out there or how you say it, it is the most beautiful to me and just out my back door (…look at all them happy creatures! )!